Courses: The Gailes, par 72, 5,246 yards to 6,954 yards. Wee Links, par-3 course, 18 holes, holes 50 to 105 yards. In this hyper-connected world, it does a body good to “go off the grid’’ every now and then. Go off the grid to play good golf courses at great prices, and in short order, it won’t bother you a bit that your cell phone is silent. 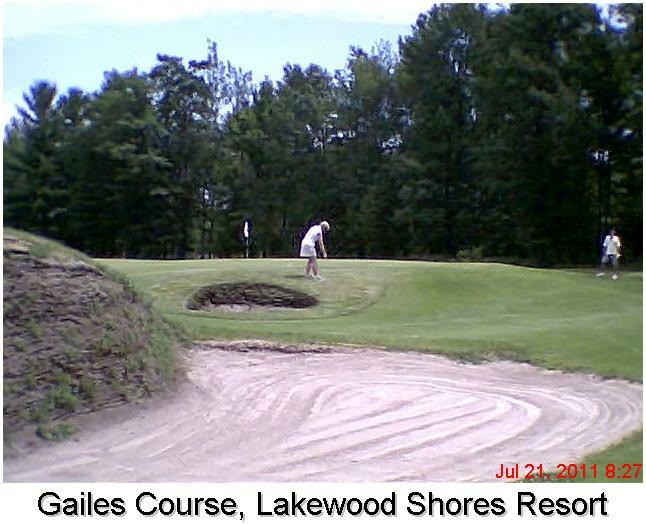 This low-key resort on the west shore of Lake Huron features three 18-hole courses, a really cool par-3 course, comfortable lodging, good food and outstanding hospitality. It’s a 375-mile drive from the center of Lake County to the driveway at Lakewood Shores. Quite by design, the place isn’t posh. I was told it’s a favorite destination of middle-class vacationers from Detroit, Lansing, Ann Arbor, Flint, Grand Rapids and other downstate urban areas. The three courses at Lakewood are as different as they are challenging. Gailes is a links course with a seaside feel. Blackshire blends a traditional tree-lined layout with large sand and waste areas. Serradella is relatively open with less trouble than its two sister courses but extremely challenging greens. Wee Links is behind the 72-unit main lodge. 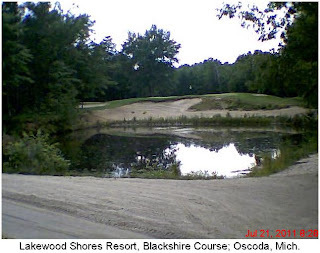 Lakewood Shores will appeal to golfers who love a bargain and don’t mind a long drive through open country. I wasn’t sure what I thought about the place at first, but the more I was there, the more I liked it and the more I appreciated being off the grid. If you like to mix fishing and other outdoor, water-related activities, check out the Oscoda Convention and Visitors Bureau website. Renting one of those lakefront cottages for a week would be intriguing. There wlll be more about Lakewood Shores, its courses, its interesting history and out-in-the-country ambience in an upcoming Travel feature story in The News-Herald. The scheduled run date is Aug. 14.